Author: Alliott, Catherine Set In . . .
A divorced, single mum, Annie is about to tie the knot with David. But there's a long summer to get through first. A summer where's she's retreating to a lonely house in Cornwall, where's she's going to finish her book, spend time with her teenage daughter Flora and make any last-minute wedding plans. Annie should be so lucky. For almost as soon as Annie arrives her competitive sister and her wild brood fetch up. While Annie's louche ex-husband and his latest squeeze are holidaying nearby and insist on dropping in. Plus there's the surprise American houseguest who can't help sharing his heartbreak. 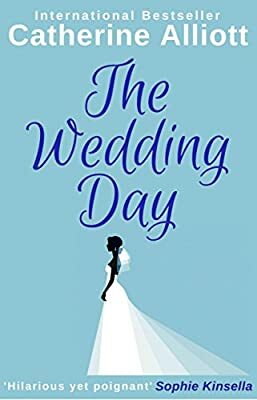 Suddenly Annie's big day seems a long, long way off - and if she's not careful it might never happen at all . . .